Courtesy of Williams Trew Real Estate, Karen Hunn. 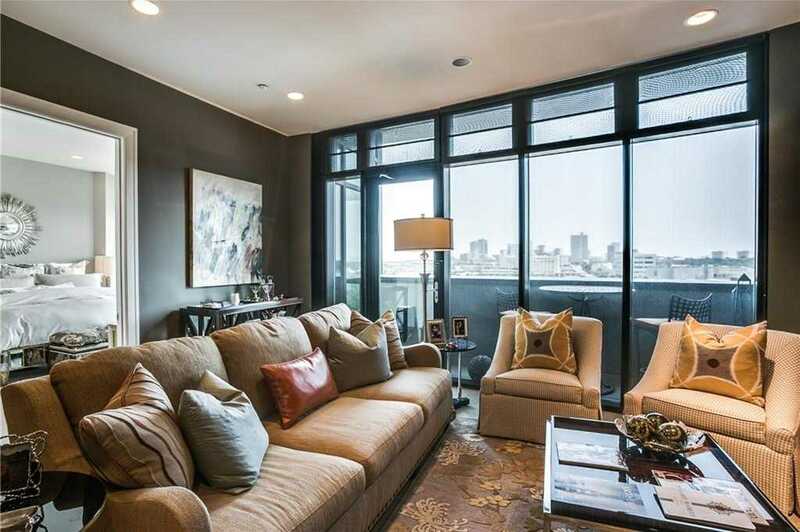 Luxury Condo Living in the heart of Fort Worth’s cultural district! Steps away from restaurants, shopping, and museums. Large, spacious with beautiful views of downtown Fort Worth and its own PRIVATE BALCONY! Master features wall of windows, 2nd living can be used as study, bedroom, den. Kitchen features granite countertops, Viking appliances, large walk-in pantry. 2 Parking spaces. Plan B3 reads 1B 2LA, 2nd Living could have multiple uses. Please, send me more information on this property: MLS# 13112801 – $524,900 – 3100 7th Street Unit 615, Fort Worth, TX 76107. I would like to schedule a showing appointment for this property: MLS# 13112801 – $524,900 – 3100 7th Street Unit 615, Fort Worth, TX 76107.